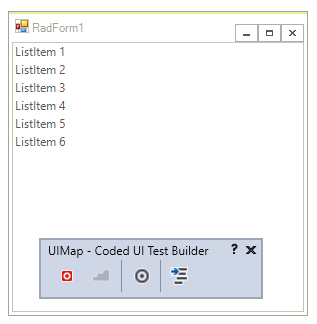 Telerik UI for WinForms R3 2012 introduces full support for Coded UI Tests implementing all four Coded UI Test levels. These enhancements are available not only in Visual Studio 2010, but also in the new Visual Studio 2012. 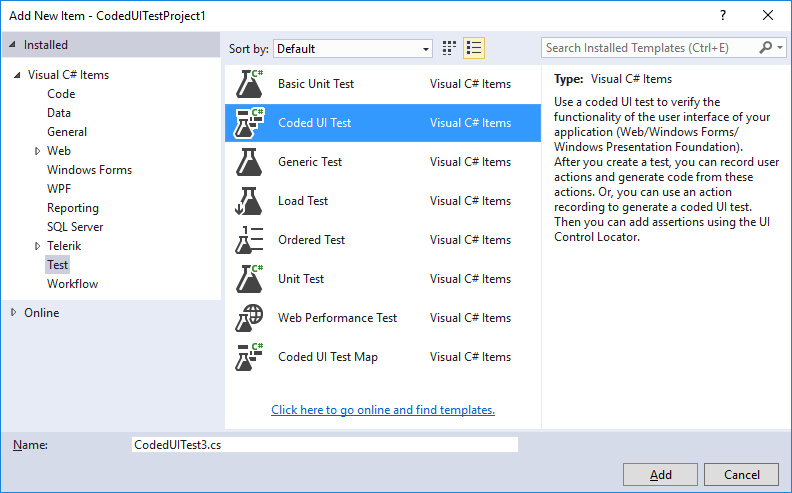 Today, we will take a look at Getting started with CodedUI testing using Telerik UI for WinForms. 2. 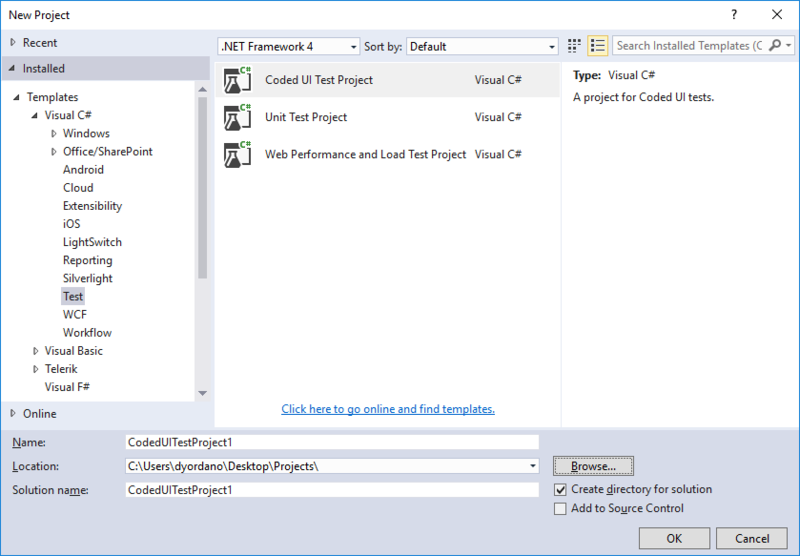 Right click over the project file and select Coded UI Test to create a new test. 3. Alternatively, you can select Add >> New Item option and select Coded UI Test and click Add. 4. 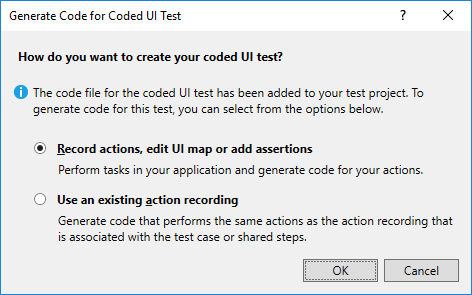 Select the first option - "Record actions, edit UI map or add assertions"
It is necessary to set EnableCodedUITests property to true for each control that is contained in the form for which you record a CodedUI test. In R2 2017 we introduced the static RadControl.EnableCodedUITestsDefaultValue property which controls the default value for enabling CodedUI for all controls from UI for WinForms suite. 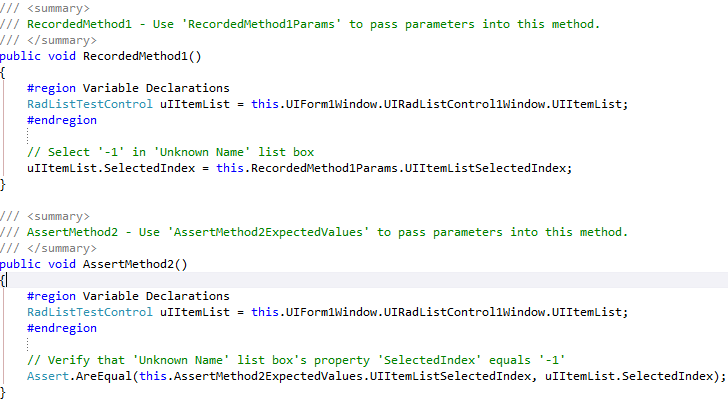 It is recommended to set the property before calling InitializeComponent method. 5. 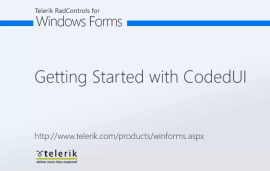 Then, start an application created with Telerik UI for WinForms - in our case this is a form with RadListControl. 6. 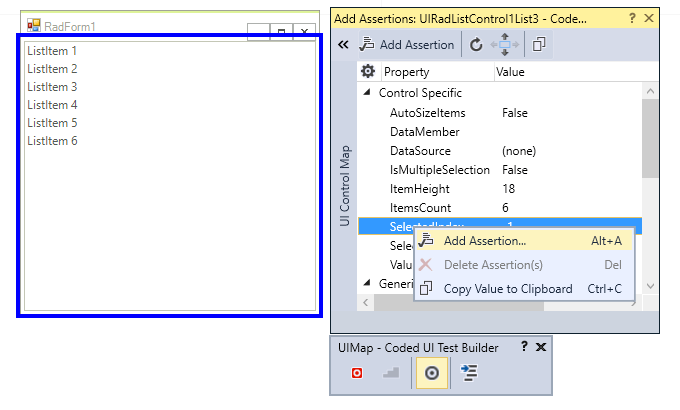 Once the test has been recorded, choose "Generate Code" from the Record window and then add an Assertion from Coded UI Spy to check the SelectedIndex property value. 8. 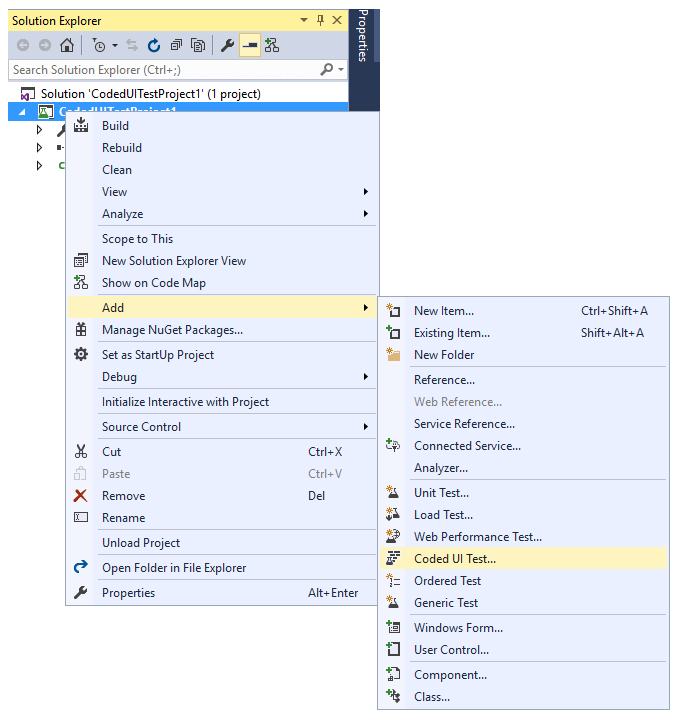 You can run the test from Visual Studio menu Test -> Run -> Run Test.